7 1/2" x 10 1/2" White Flat Tyvek Envelopes. 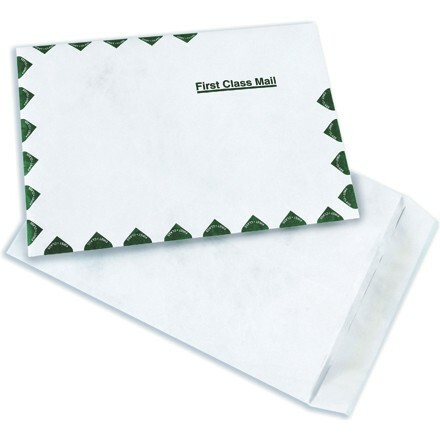 Tyvek envelopes provide superior puncture, tear and moisture protection. Constructed from 14 lb. olefin. Ten times stronger than paper envelopes. Feature self-seal closure. Available in plain, First Class and Air Mail printed borders.